The photographs for this interlocking turn-screw set do not do the product justice. It has a high quality look and feel that you would associate with a much more expensive item. The wood, brass and steel are finished to a high standard with a near perfect fit and only a small amount of use results in the symmetrical wood handles taking on a deep, smooth sheen. The blades are true with the tips finished nice and square and fit perfectly for grip screw and firing pin guide/spring removal respectively. I purchased this as an extra case accessory for my Navy Luger and I am more than pleased with the aesthetic that it lends to the display. 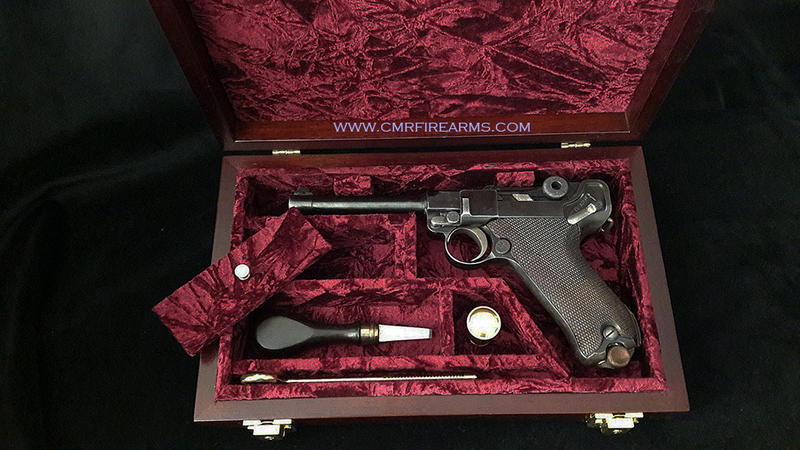 I have no hesitation in recommending this item to any serious collector looking to add a touch of luxury and original feel to a cased pistol.